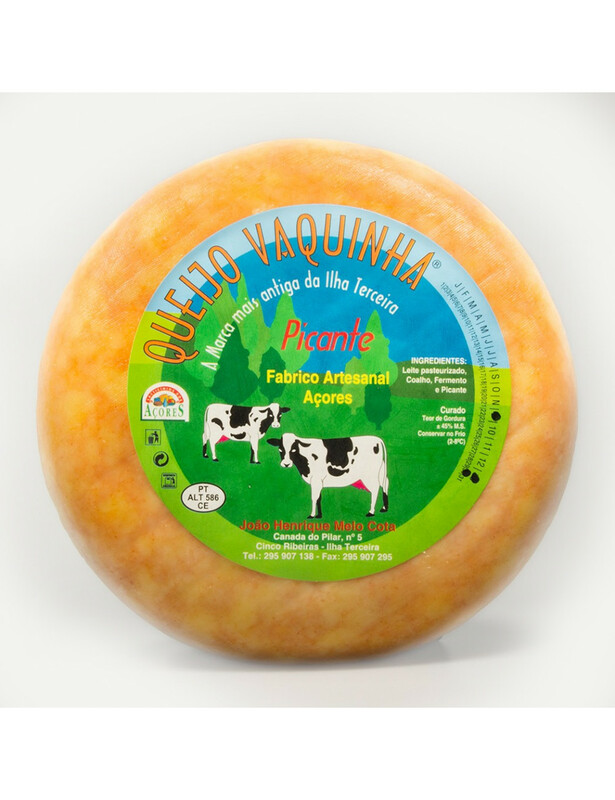 Born of the symbiosis between Queijo Vaquinha da Ilha Terceira and Azorean pepper, giving it the characteristics of Queijo Vaquinha, well defined and marked aroma, and slightly spicy flavor conferred by Azorean pepper. Curated, Fat content: +/- 45% M.S. Ingredients: Pasteurized Milk, curd, baking powder and spice.